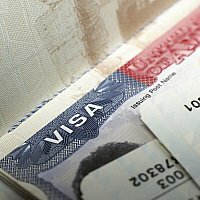 An executive of the termination-threatened American College of Commerce and Technology in Falls Church, Va., pled guilty to visa fraud earlier this year. The student body is 93 percent on F-1 foreign-student visas. As noted in an earlier posting, the staff of the Virginia educational regulatory agency, the State Council of Higher Education for Virginia, recommended that ACCT's license be terminated for a series of educational failings, with no relation to any immigration matters, but the State Council had postponed acting on the recommendation because of an apparent sale of the voting stock in the college's holding company, American College of Commerce and Technology, Inc. Earlier, ACCT had opened a branch "campus" in Alhambra, Calif., near Los Angeles, with Philip Li as its manager, as documented by this local business listing. The Center learned this week that Li pled guilty to immigration fraud earlier this year in a case apparently not directly associated with his work with ACCT. The Department of Homeland Security had mounted a sting operation by creating the University of Northern New Jersey, a phony institution without classes or classrooms; the idea, a very successful one, was to lure crooked visa brokers into placing their "students" into the university, which was known to the brokers as a fraud, and then to indict those fraudsters. Philip Li was one of more than a dozen visa brokers caught up in the sting. His guilty plea is recorded in the federal courts' electronic file, PACER, in case 2:17-cr-00005-KSH. As is much too often the case in immigration fraud matters, he was not sent to jail, and only had to pay a $5,000 fine, $800 in restitution and a fee of $100, plus three years of probation. It may well be that Li's guilty plea does not relate directly to the pending ACCT decision by SCHEV, but it certainly speaks to the ambience in which the Falls Church entity has been operating.